Redwork embroidery, long admired for its simple, homey designs, is more popular than ever. 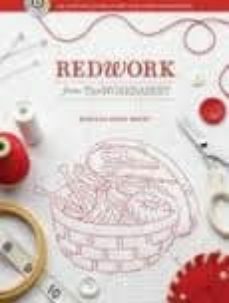 And what better source for great redwork designs than The WORKBASKET®, a classic magazine with a 60-year tradition of providing readers with great, do-able crafting projects. Now Redwork from The WORKBASKET makes it easy to re-create the warm, nostalgic feel of vintage redwork designs on your linens, aprons, even quilts, whether you embroider by hand or machine.